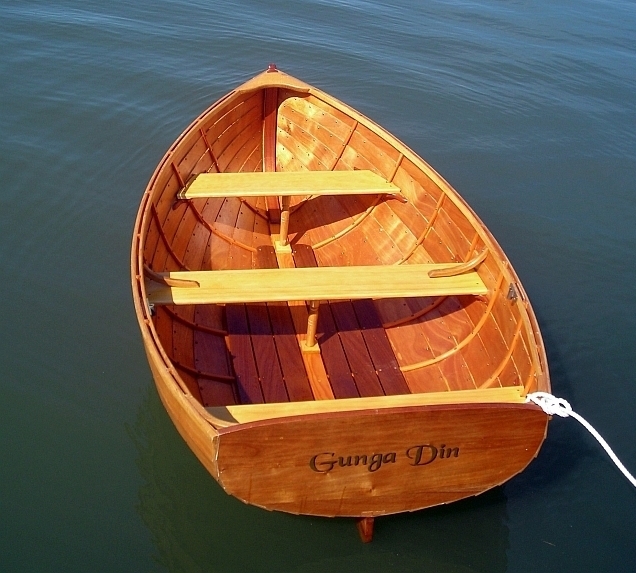 Because Memsahib is just about the only wooden boat out on the Loop this year, and people seem so interested in her, we spend a lot of time talking to boaters and dockwalkers about not just Memsahib, but wooden boats in general. 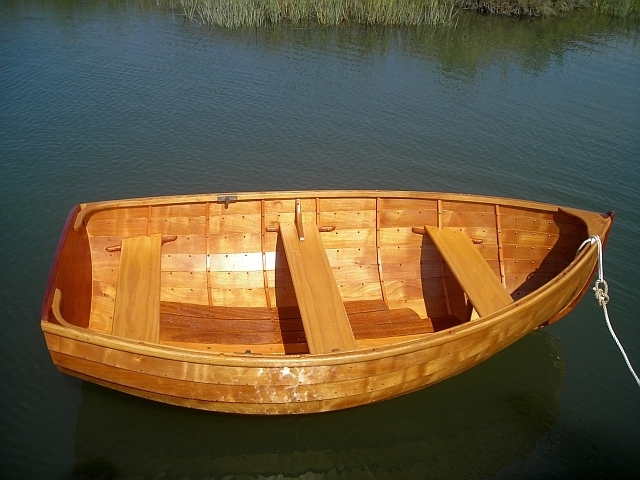 The first boat I ever built after a class at WoodenBoat School taught by the talented John Brooks. 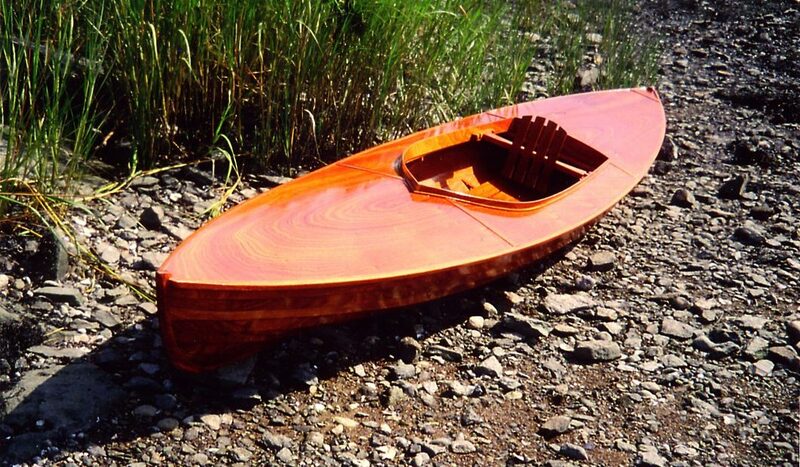 This is a Joel White design and kept me on the water and sane during a short period between cruising boats. She is now in the Bronx at Rocking the Boat, a group that provides water-oriented training and activities to disadvantaged teenagers. 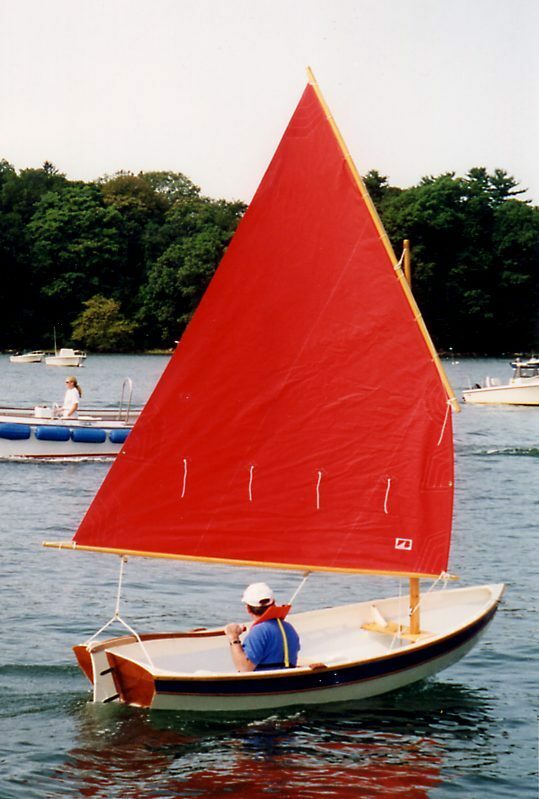 Built after a WoodenBoat School class with another one of my heroes, Sam Devlin. We still have this one. This is actually Memsahib’s tender, but to get through the locks and to keep our overall length in check for marinas, I didn’t want to have her on davits, hence the ugly rubber bathtub toy on our roof now. 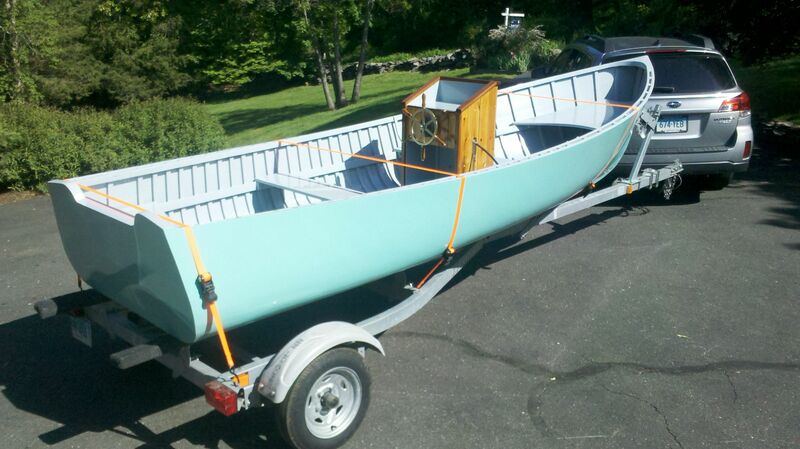 This is a 1971 Joel White design built in Maine by the legendary Jimmy Steele. 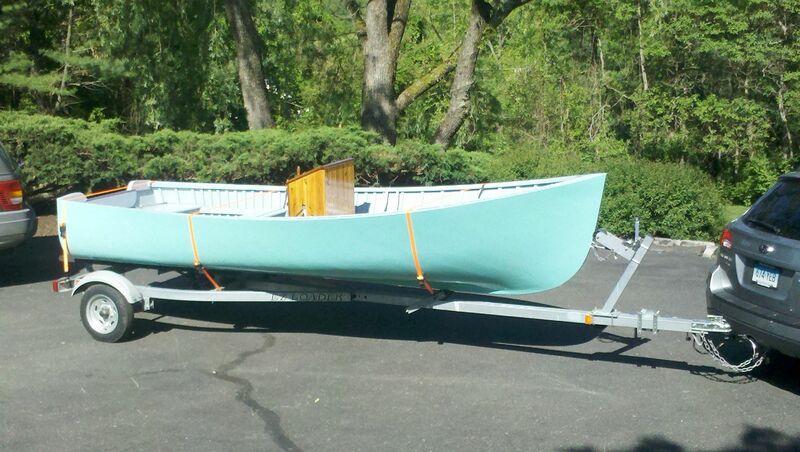 I restored her over a three-year period and just got the engine on when Voyage preparations took over my life. So I am hugely anticipating getting her in the water when we get pack.